Maybe your brand no longer resonates with customers, and you feel like you need a refresh to stir up interest. Alternatively, perhaps you've decided to pivot your business model entirely and want an updated representation to match the new approach. If your business merges with another business or acquires a new one, are two of the best times to rebrand the new company. Your new rebranding should showcase the best aspects of both companies setting the stage for the future. Today more than ever, brands are turning to the power of technology to attract, engage, and retain customers in new and innovative ways. With advancing technology and cutting-edge knowledge, rebranding is becoming more prevalent in today’s rapidly evolving business environment. However, our brand consultants advise clients not to commit to a rebrand without clear, strategic, customer-focused reasons. Furthermore, once you do, ensure customers know exactly what those reasons are if you want to maintain their loyalty. Now, the division is foregoing its name in favor of a rebrand to better focus on Microsoft's most well-known gaming brand. Microsoft Studios is now Xbox Game Studios—suggesting a shift back to games. The change is intended to bring all things gaming at Microsoft under the Xbox branding—including PC and mobile endeavors. The name change reflects both the team's new philosophy and approach to developing games and also the evolution of the Xbox's brand identity. Xbox claims the move is to reconfirm their commitment to gaming across all platforms, a part of their focus on getting their content on as many different devices as possible. This rebrand comes only a few weeks after the company announced their intention to become the ‘Netflix of Gaming’ with plans for a trial of a game streaming service later in the year. Every product and service exist to meet a particular need for a specific customer group. Over time, the scope or focus of the product or service will likely evolve to match changing tastes, technology, and other market forces. 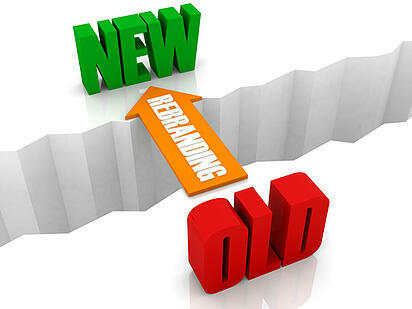 If your product or service has shifted in a way that no longer fits its former visual identity, it’s time to rebrand. Microsoft lost ground with the Xbox One. While the rebranding of Xbox’s in-house development group might not seem like a big deal to some, it comes at a critical time for Microsoft after a certain amount of complacency in the last ten years. Their future aspirations of becoming the ‘Netflix of Gaming’ could be good or bad for both consumers and the industry, and Xbox Game Studios to prove that Microsoft is trying to make gaming the best that it can be. However, considering that almost everything Microsoft does is called “Xbox something,” changing the publishing company to Xbox Game Studios does seem to make sense. However, time will tell. What do you think of the rebranding? Do you think it shows a commitment to gaming from Microsoft?